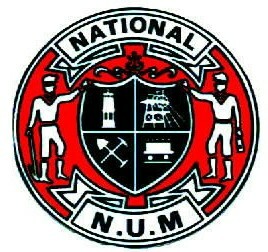 The Ukraine Solidarity Campaign welcomes the decision of the National Union of Mineworkers to affiliate to our campaign. The NUM is a trade union which holds immense respect in the labour movement and we are honoured and privileged to have them as a supporter. 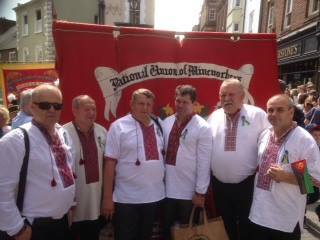 The NUM welcomed a delegation of Ukrainian miners from Donbas at the Durham Miners Gala in 2014 and then sent two delegations to Ukraine visiting the mining areas and meeting with an array of activists of the trade union movement. The NUM also set a delegation to attend the All-Ukraine Miners Congress in April and took part in a mass demonstration against pit closures at the Verkhovna Rada, the Ukrainian parliament. A third larger delegation from the NUM is going to Ukraine later this month to visit the coal fields and meet with fellow trade unionists. The NUM has a set an example of solidarity to the entire trade union movement and we welcome their affiliation alongside the train drivers union ASLEF to our campaign.